Trying an experiment & starting a thread on Atheism. Atheism is a worldview that, obviously, does not believe in the existence of God. Most Atheists, however, aren't familiar with their own worldview, which paints a drab, pointless, meaningless, existential existence. Thus, whenever they speak of "good" and "evil", they are borrowing, or smuggling in, from a Worldview (Christianity) they claim does not exist. I will develop this thread as I have time and invite feedback and the points of view of other board members. How any human being could line up against Mother Teresa is beyond understanding. My point is, regarding pure atheistic thought, I could see how a human being, or group of human beings, could line up against Mother Theresa. They have to, in order to promote their Worldview. Postmodern deconstructionism seeks to tear down strongholds and that with which they cannot, mentally, deal with. Their problem, as well as ours...is sin. And, in seeking to avoid dealing with their sin...their fallen-ness, they will lash out at others. The curved line in the graphic above represents all the stuff (postmodern thought, Darwinian Evolution, Big Bang, atheism, intellectualism, humanism, reasoned arguments, etc.) that fallen man throws at God, in a futile attempt to marginalize and diminish religious thought as relevant within our culture. Bear this in mind...they are desperate, and struggling with their own faith (atheism being a "faith"). The black dot...is man. IMHO, I really do not believe there is anyone who is a true atheist. 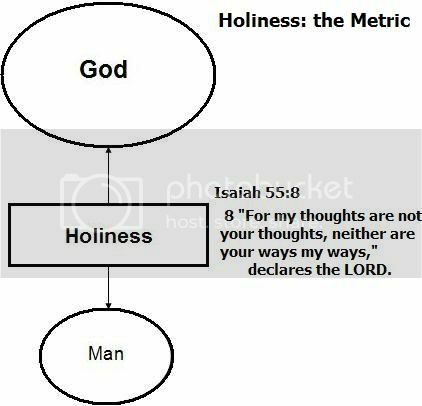 The law of God is written on every mans heart says Hebrews 8:10, believing innate knowledge of God is a primary truth that is written in our nature. I do however, think we all have different propensities for certain sins. My self I have a struggle with alcohol. In my younger days I pretty much lived to drink and fornicate. Alcohol has destroyed many parts of my life, yet I still have a strong desire to drink, I am in a constant struggle, but since I gave myself to the Lord the times I mess up my conscience really, really bothers me and I feel bad morally. I believe atheists have hardened their hearts and they want to live the way they want with out being told what to do, so they dismiss God by saying he does not exist pleasing their own sinful desires, and calming their conscience. Sin and living the way you want can be fun, but it ends in utter hopelessness and ruin. I do not know what I would do without Jesus. I've almost come to the conclusion that atheists and agnostics are just about one of the same. When dealing with them, you can't find a twits difference. I know there is a theoretical difference by definition, but in practicality............ ? At powerline, there was a poster there that would really dig in against Christians, and I always wondered why the hateful vitriolic blasts. Well, as it turned out, his father was an atheist, and died while this poster was relatively young. Well, this poster rejected Christianity because, to believe in it, would mean that he would never see his father again, so he took it out on Christ. He believed that his father was a good man, and he wanted to see him again. Now, that to me, theoretically means that this poster wasn't really an atheist. Right? But that is how he classified himself. Well, powerline went to hell in a handbasket before I got a chance to tell this poster, that if he rejects Christ, then he will put his children in the same position. Just a thought. We need to be remindful of the fact that the way we live our lives represents the 'dash' on the headstone between our birthdate and our R.I.P. date. Let's make that 'dash' a lasting legacy for our children. No children, but I see that 'dash' as a legacy and example for the people who knew me. I agree...An athiest is someone who's heart has hardened. The label "athiest" or "agnostic" simply allows one to rationalize behavior and cover guilt. I've listened to "athiests" blame the very person they do not believe exists for the ill's of this world. Go figure.